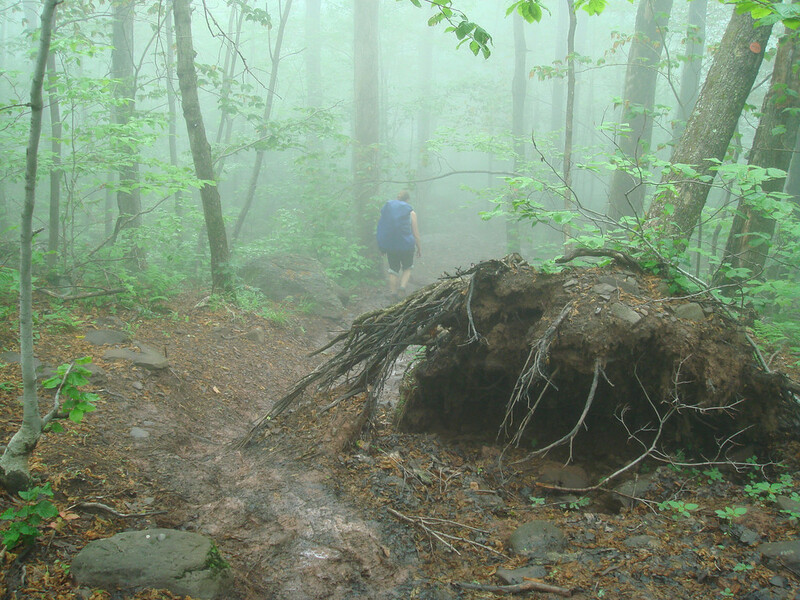 As we say goodbye to winter, it's time to look forward to spring hiking. 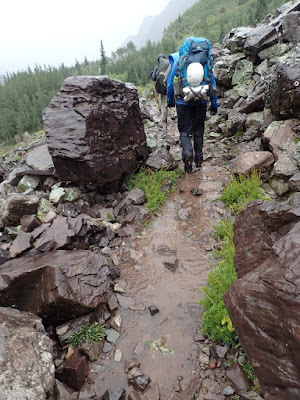 It might seem like heading out onto the trail without giving your gear list much thought is fine, but leftover snow, overflowing streams and rivers, and a metric ton of mud along with unpredictable weather can be tough if you're not prepared. Though frozen feet aren't as prevalent in spring, wet feet can still make for an uncomfortable day. Wearing hiking boots with a waterproof, breathable membrane, or full grain leather hiking boots, can help keep your feet happier when you're dealing with wet terrain. They'll also help you feel better about trudging through deep puddles on the trail rather than walking around them, which helps keep trails in good shape. Things to consider: I've found full leather boots retain their waterproof properties longer, and the boots themselves last longer, but they're also heavier and require more breaking in. Boots with waterproof membranes can let water in through seams and lacing systems over time, and they're not always breathable due to the membrane itself, but they can be cheaper than leather boots. If you're more of a trail shoe person than an ankle height boot person, you're likely looking at waterproof membranes. My favorites: Scarpa Women's R-Evolution Plus, Ahnu Women's Montara WP. Full or Partial Height Gaiters. In the winter, gaiters can provide some extra insulation and keep snow out of your boots, but they're not just for cold weather adventures. In the spring, gaiters can help you navigate wet, muddy terrain if (when) you encounter it. They're essential for keeping the inside of your boots clean and dry. Generally, gaiters attach to your boots via a front hook that clips to your shoelaces and a plastic or elastic strap underneath the boot itself. Then, the gaiters wrap around your lower legs, and they're sealed with velcro. Things to consider: Look for breathable gaiters so you're not sweating up a storm, but water still stays out of your boots. Think about durability and weight when you're selecting a pair, as some lightweight pairs can tear more easily. Consider different heights; low gaiters can keep the mud out, and they're lighter, but gaiters that cover your calves can come in handy in other seasons. My favorites: Outdoor Research Women's Crocodile Gaiters. Noticing a theme with these recommendations yet? Even if rain isn't in the forecast, you never know when a spring shower will pop up, leaving you drenched. And if temperatures drop, you're looking at more of an unsafe situation than just an uncomfortable one. Waterproof shells can also help keep the wind out, and some can be used across multiple seasons. Look for a jacket billed as waterproof, not water resistant, as the former is designed to resist a serious downpour. Waterproof, breathable jackets are ideal for spring hiking because they're designed to prevent water from coming in while allowing perspiration to flow out. 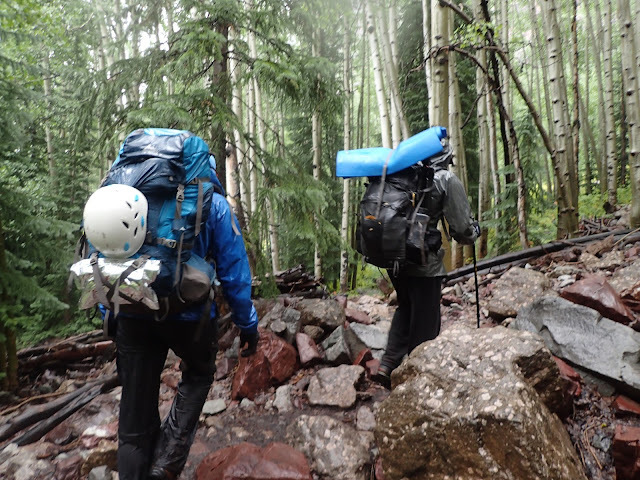 Things to consider: If weight matters, look for a packable jacket that can easily be stuffed into your pack. Think about whether you'll want to layer underneath, and if you do, make sure the jacket allows for some extra room. Decide if features like pit zips, seam sealed pockets, and helmet-compatible hoods matter, as does the ability to use the jacket across multiple seasons. Accept that sometimes, you're going to be sweating too much, or it'll be too humid, for the breathable part of your waterproof, breathable jacket to keep up. My favorites: Outdoor Research Women's Aspire, Outdoor Research Women's Helium II. 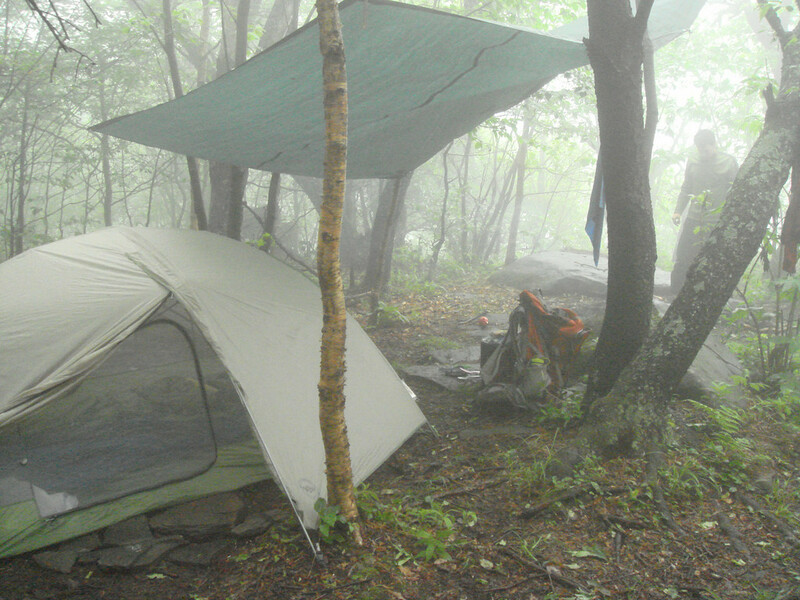 If you've been backpacking and hiking long enough, you know how valuable a tarp can be when you're stuck in the rain. Even if your tent is waterproof on a rainy overnight, or if you're able to find shelter under trees or rock outcroppings on a hike, having a tarp to completely block out water can make a huge difference, especially for morale. And some tarps can double as a tent footprint when the weather is dry. For me, a tarp is a nice-to-have item on spring hikes and a must-have item on backpacking trips all year long. Things to consider: Tarps come in all shapes and sizes; choose the one that works best for you, knowing larger ones will take up more space in your pack and add weight. I have one that's just big enough to shelter my 3-person tent, which doubles as a footprint, but doesn't so much to provide coverage over areas outside of the tent. If I know it's going to be pouring, I'll bring a second, bigger one to create a sheltered area for cooking. You don't need a fancy, expensive tarp; mine were both under $10 at a local hardware store. My favorites: One that looks like this, or whatever you can find at your local hardware store. Covering up our cooking area in the Catksills during a downpour helped keep our stove and food dry. Things to consider: Decide whether you want a single pole, or a pair. Pairs are great to have when your hiking buddies neglect to bring theirs and need to share! I've also found they keep me more balanced. When it comes to length, aim for a 90º bend in your elbow when the poles are touching the ground. Some poles are adjustable, which can help you get a better fit, and I find I like mine slightly shorter when I'm walking uphill and longer going downhill. Some poles come with shock absorbers, internal springs, which I've found to be an unnecessary annoyance, but still, something to consider. My favorites: Leki Khumbu Aergon SpeedLock Trekking Poles, which aren't available anymore. Are there any you've used recently I should test out? What other pieces of gear or apparel are must-haves for your spring adventures? Sound off in the comments!